I've never met a romper I didn't like but this romper by far takes the cake. It is super comfortable, flattering with the tie waist, and super cooling since it's silk. We can just add it to the top of my "romper love" list! 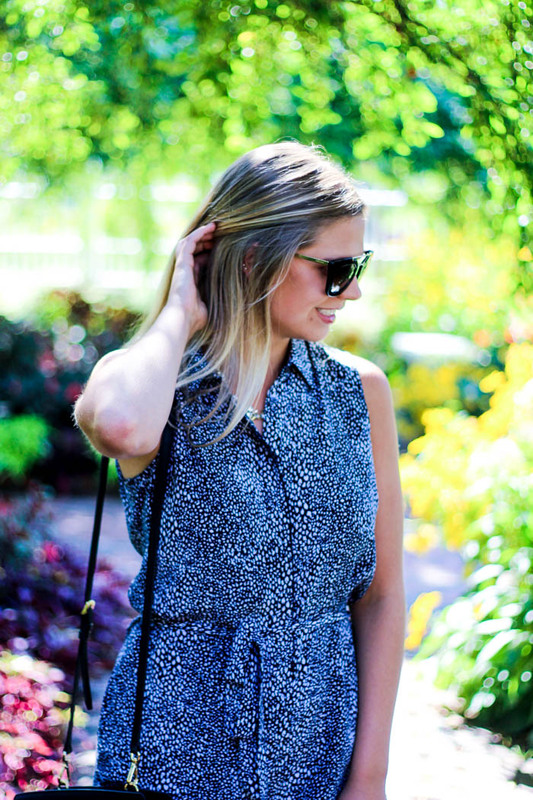 This romper came in my Lyon + Post box (if you haven't read that post, go here first!) and it was immediate love. With their try-before-you-buy philosophy, it was so hard to decide if I wanted to keep it or send it back (since it is a bit pricey) but honestly the quality is so great that you'll have it for years! If you want to try out Lyon + Post be sure to click here to start your account with a $30 credit! Also, I'm currently renting these Prada sunglasses from Shop Ditto! If you want one month free of designer rentals, use code "stylecubby"! P.S. We are officially under the two week mark for the wedding! !